Bootstrap 4 is a powerful tool to boost up your website quality and provide some upgrade feature specifications. For which the demand for free Bootstrap 4 templates is climbing on the apex day by day. Developers, as well as general users both, can be benefited from Bootstrap 4 templates. The release of a new version takes time which ensures the maturity of the framework. As a result, templates made with the latest Bootstrap have a prepossessing quality. We have tried to enlist the world-class free Bootstrap 4 website templates so that one can easily depict the model and blueprint of their website easily. Since all templates are free, you can at least give a try to craft your website with this templates. The era of Bootstrap 3 has almost over; Bootstrap 4 has overtaken all the lime-lights with its terrific streamline features and evolutions. The developers, coders, end users, people of all walk related to website development will get more latitude to overwhelm their website’s framing through this blog post of free Bootstrap 4 website templates. Go to the quality checked category for the cutting-edge, fast loading templates. We have recently published a post for free Bootstrap themes. Read that too. From here, read the full list to get the free Bootstrap 4 templates in order to create amazing, responsive websites. Neat and clean design with a myriad of advanced features for landing pages is rare today. 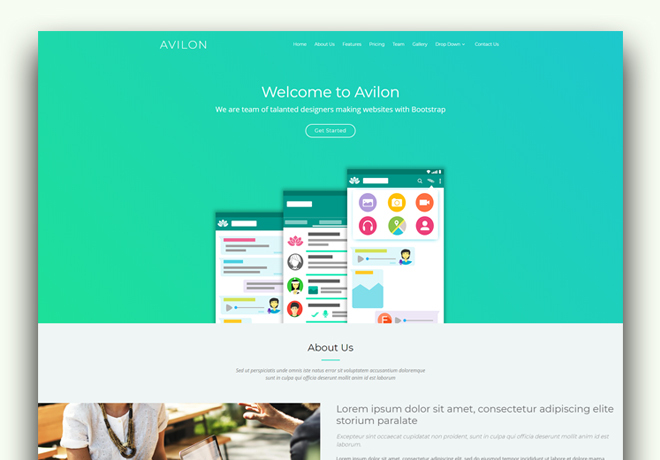 But In this blog post, we are mentioning Avilon template which is an ideal landing page template for your website to promote your ideas, products or anything you want. 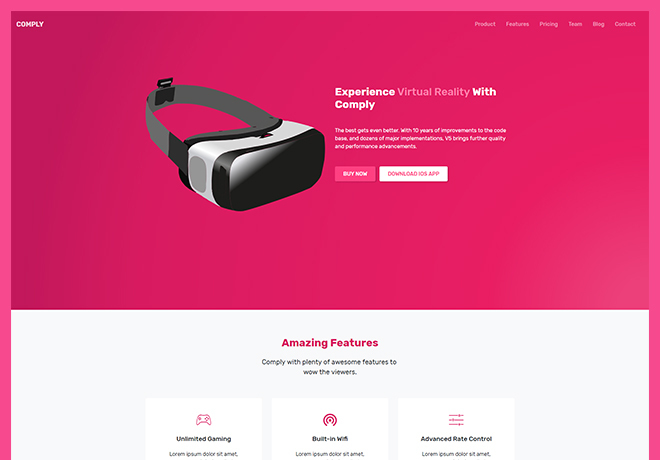 Structurally it is an excellent free bootstrap 4 website template which comes with a beautiful and eye-soothing user interface. 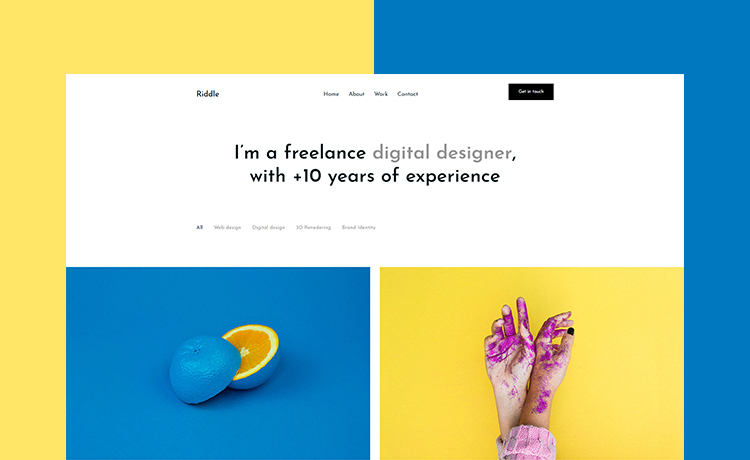 This template ensures you unique features like gradient color scheme, parallax scrolling, accordions and many more. Amid free Bootstrap 4 templates, Avilon is a remarkable inclusion. Need a terrific template for your restaurant’s website and want to be visible in online marketplace? Then Pato is the coolest free Bootstrap 4 website templates which ensure the updated features and best quality. 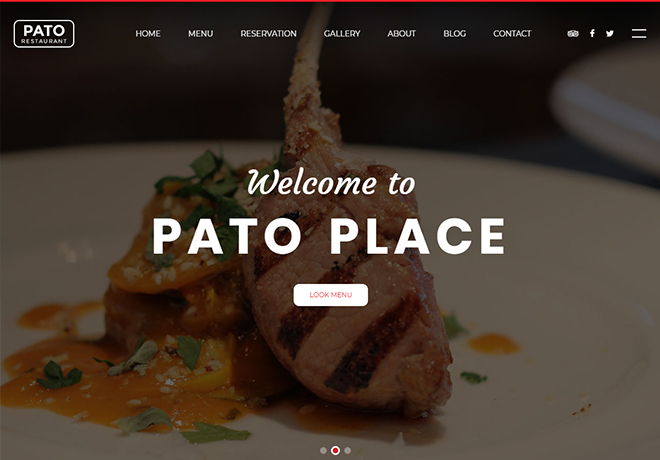 Among our all free bootstrap templates, Pato provides the utmost standard. It is the best fit for your restaurant, cafe, fast-food store. Developers and non-developer both can customize or modify it according to their needs. Drawer menu, parallax scrolling, countdown timer, table reservation form and the unique video section has added more appeal and marvelous outlook to this template. Bootstrap 4 has undoubtedly powered up the template’s caliber and provided numerous advances. Online visibility is most important nowadays for a start-up business. But if you have free and upgraded tools like free bootstrap 4 website template, then it’s easier than ever. And of course, DUP is your desired template. It is the most promising one and makes sure to manifest your start-up agency in an arranged manner. 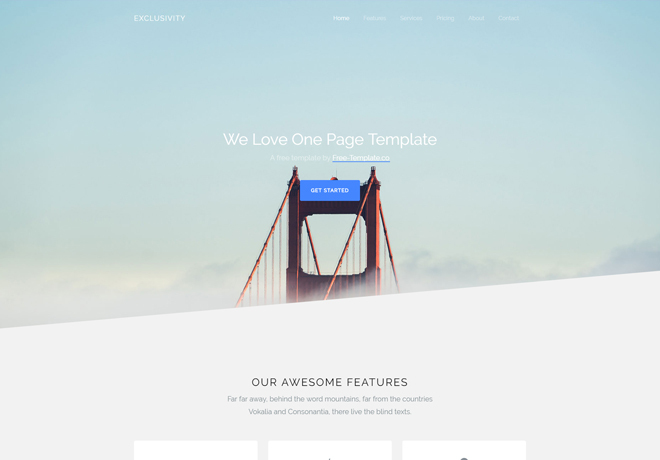 This is a fully responsive template with beautiful UI. DUP template upholds the features like owl carousel, progress bar, device responsiveness, magnific pop-up etc. All these features will inevitably create a sensation among all types of peoples to grab this free template. People always search something new and exciting, it doesn’t differ for building or creating a website too. So if you also search something interesting or new for your agency or start-up business then go for Datarc template. This one-page template is enriched with all those necessities which you are searching for. Its clean and elegant design layout attract end-users and grab their attention. You can fulfill all your requirements with this finest bootstrap 4 template and enjoy the profit of your very first start-up business. This template also provides filterable gallery, top search bar, full- width layout, on-hover effect and many more cool features. Today Photography is one of the most passionate carrier options and creative people are taking it seriously. Those who are skilled in photography and do really well in this must come forward to nourish their talent. The photographer or photography studio or agencies have made a remarkable place in society. They must maintain an online website so that customer or client may easily contact them. And some who only does photography for a hobby and want to showcase their creativity to the world through internet. 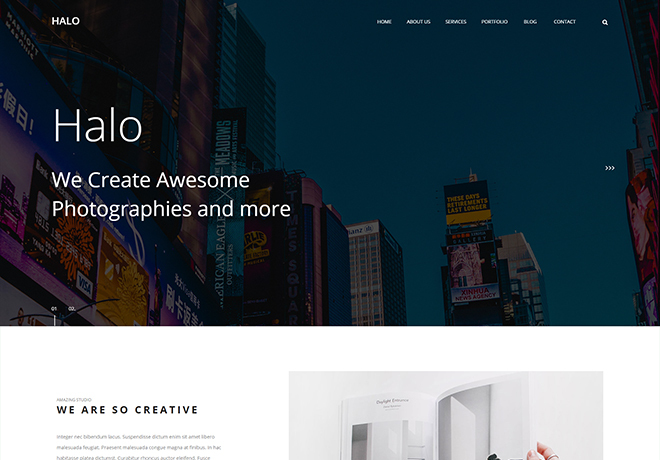 For this purposes, Halo bootstrap 4 photography template is more than awesome. You can put all your works and project here so nicely. Moreover, the full-screen slider, navigation bar, search box, image gallery, font awesome icons, contact form are available. Not only this, you get an interesting portfolio and blog section. It is also device responsive so will fit for every device and your content won’t shrink or look awkward. If you are still confused then download it and give a try because it’s totally free so you won’t gain any loss. And we can only say this is one of the best free Bootstrap 4 templates for photographers which we have listed in this blog. 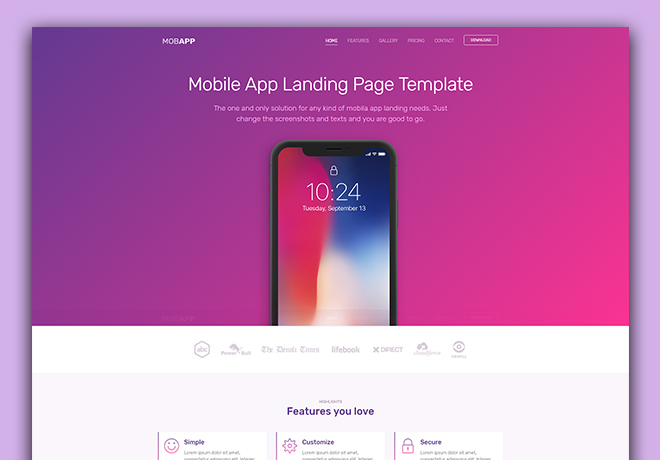 Landing page templates are always in high demand for making websites to promote a new product, advertise anything or inauguration of any events. And If you get the opportunity to clutch such a trendy landing page like MobApp free then don’t waste your time sitting idly. Fully responsiveness, a wide range of upgrading feature collaboration, the impressive color combination makes it nagging. 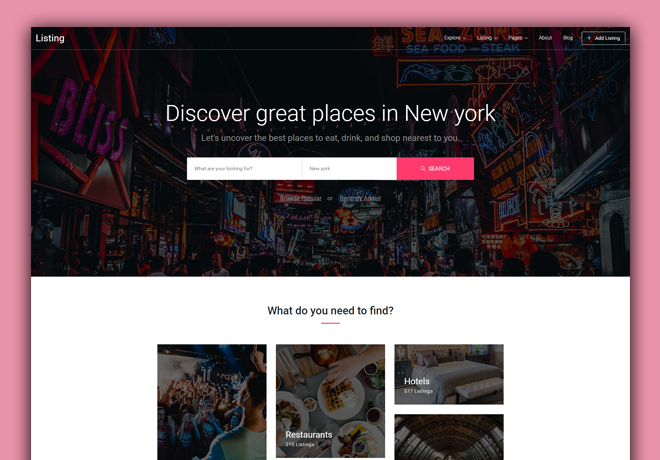 Not only this, sticky navigation bar, on hover animation, carousel slider, Themify icons, responsive burger menu and many other exciting features are available. So make your website or application more appealing with this template. And the developer gets full flexibility of customization. And vivid color combo makes it attractive. So you must give a try. Since the online business is multiplying day by day, the management of these properties is a burning issue with their vast data set. For this reason, the importance of admin panel cannot be neglected anymore. 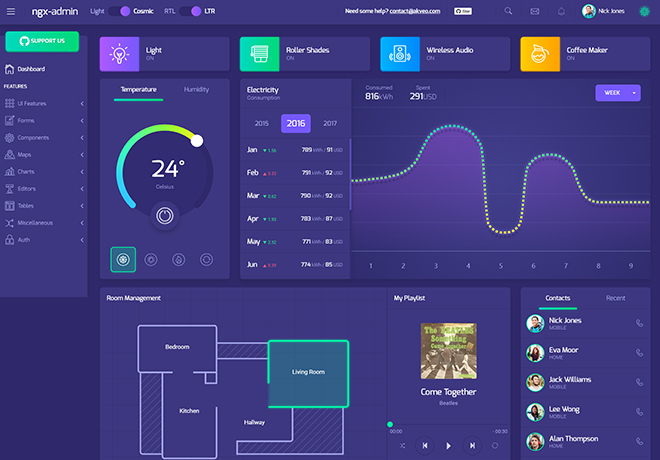 Purple admin is one of the most useful and demanding free Bootstrap 4 templates for admin and dashboard. The user interface of this template is so tempting and well furnished that it will surely blow your mind. It comes with 5 built-in demo pages and well-written code so you don’t have to worry at all. Admin dashboard, SCSS files, charts, tables, login-register pages, various typography option, off-canvas menu, drop down button and many more essential features are included to keep your dashboard alive and well performing all the time. The collection of this free Bootstrap 4 templates is full of high-quality and flexible products. You need to choose the right one(s) according to your need. All templates are customizable, equipped with best features, user-friendly, and incorporated many other facilities beyond your imaginations. 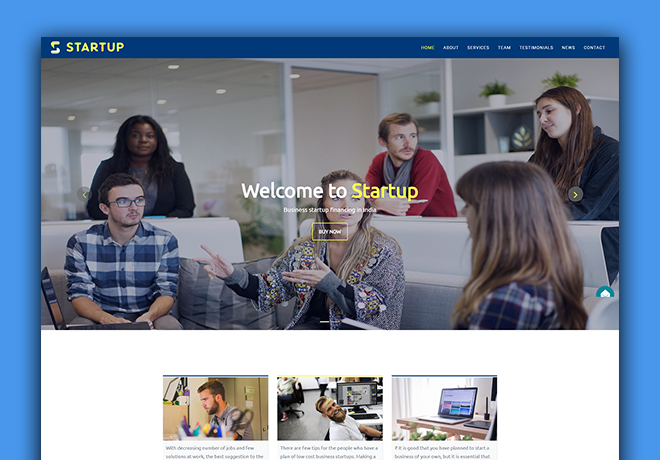 Startup, the free HTML5 template is sufficiently flexible and friendly for you if you need an ideal template for business, agency or any other service. This template may amaze you with its device responsiveness, animated sections, ghost buttons, quality code sections and many other things. So you see, Startup possesses it all. Making an online presence for your business is one of the significant tasks for modern-day promotion. An effective attention-grabbing way of engaging people with your website is making the site compelling. 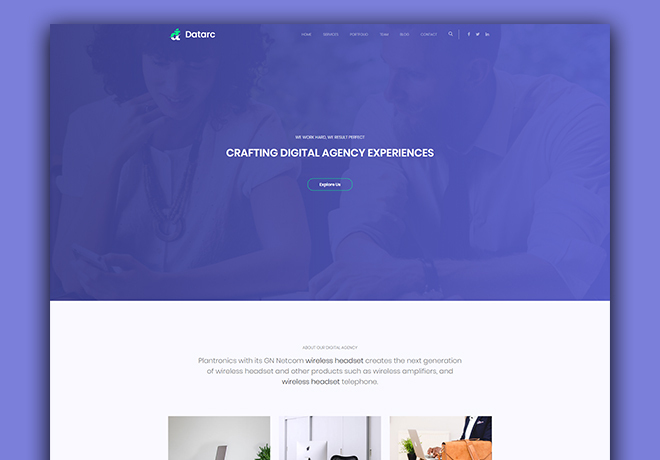 In this collection, you will get premium-quality free bootstrap 4 website templates. The list has been made so carefully so that our end-users will be greatly benefited. 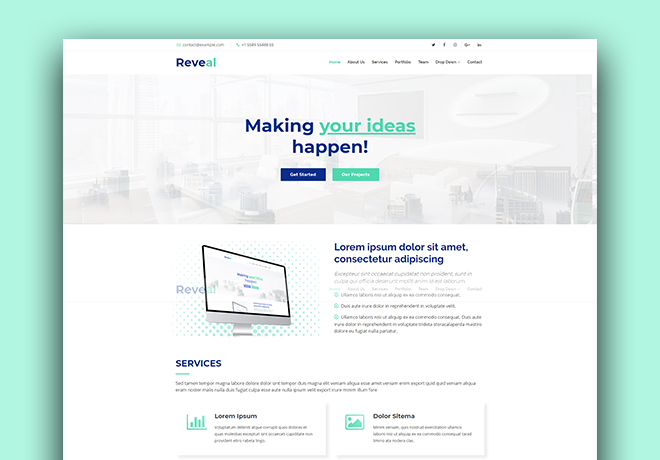 If you are already thinking something substantial and extraordinary for the future of your corporate business, company or agency, then choose Reveal template for website purpose and it won’t make you disappointed. Reveal comes up with off-canvas navigation, one-pager, Google maps, segmented sections and many other exciting features. In this blog post, we have enlisted each template so carefully that if you have a close look at them, every item is more than wow. And you could finally save both your valuable time and money because you can get all these items in one place without paying for none. Comply is a well fit landing page for your website. With enormous flexibility, you can customize it, design it and enjoy your own modified site for promotional works. Comply is something more than your thinking and its features like retina ready, animations, toggle menu, etc will satisfy you big time. And It’s equally usable for mobile or web app too. So you see, how much it will add value to your website. And you are welcome to take a look at this blog post. You may have gone through several ingenious and highly tempting templates, but I think Law is something new you will experience ever. And guess what it is cost-free and comes up with bootstrap 4. This template is needed for your law firms or something alike. So to grab clients’ attention and to make a long-lasting expression among them, it’s a must try template. This is a one-page template with a list of many new features like a slick slider, drop-down menu, responsiveness, etc. 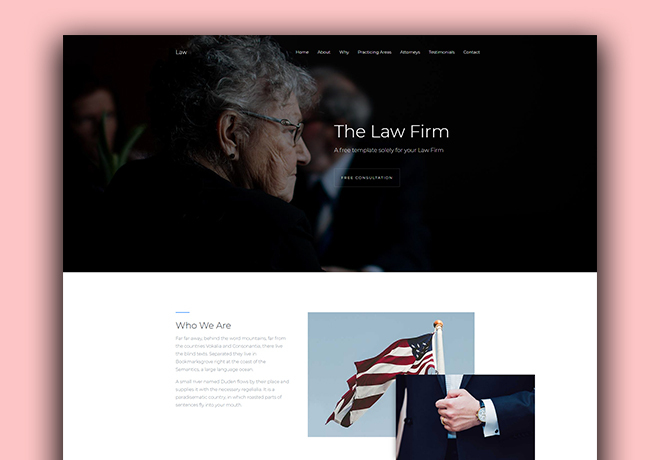 So, design your website, make the online appearance, clutch clients’ attention and take your law firm business to another level. If you are a person of sophisticated choice and don’t want to compromise, then you have come to the right place. Because in this collection of free Bootstrap 4 templates, you will definitely find the one you have wished. And the best thing is that you can try these templates without any loss because they are totally cost-free. What you have to do just download it and craft according to your desired website. It won’t let you down because we have enlisted premium quality templates which won’t trap you for any compromising. With Exclusivity, you are allowed to do various experiments and make your own professional website. Not only this but also you can experience the ultra-modern technologies to beautify your website. You will be benefited with features like segmented sections, Google Maps, clean typography, etc. So you are heartily welcome to play with this template. Listing is for those who have a corporate mind and want to put off their ideas on the website. So if you have the similar thinking take a look at Listing. Basically for any kind of directory website Listing is ideal and provide what you need. The drop-down option, search bar, and responsive burger menu help you out to find anything quickly. Moreover, you can categorize or list anything using box gallery. So if you want all these features on your website, then Listing best fits for you. 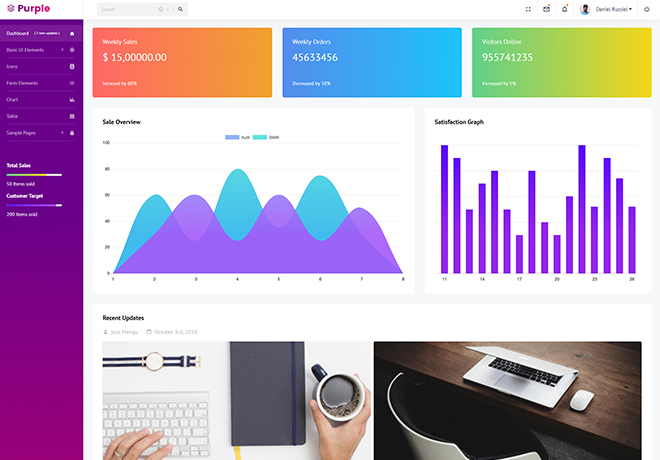 This bootstrap 4 template is cost-free, and its attractive and well-ordered layout will surely satisfy your eyes hunger. What makes the difference between BusinessBox and other free Bootstrap 4 templates is mainly the outlook. You can also use the modern design layout and numerous options to craft your website for business purpose. And most importantly for every business, your target is your client. At first, clients get attracted with the outlook of any website then they go deep inside. And, guess what, BusinessBox offers you the most exquisite design with the excellent user experience. Additionally, you don’t have to worry about features; it’s enriched with that side, as well. The parallax effect will allow you fantastic scrolling experience. Using dropdown and navigation bar you can quickly get what you want, and then on hover animation will surely mesmerize you. And last but not the least the video section added further advancement to it. So don’t wait and choose it for your prosperous business website. Who is not fascinated about traveling? Maybe no one, traveling keeps you alive and discover the external peace. So if you want to grab the attention of such passionate travelers or tourist towards your travel agency website then just do one thing, craft your website with Places template. This template is specially designed for travel agencies. It has full-screen header background image with burger menu and navigation bar. From the multilevel drop-down menu, one can choose option easily and get to know what services are given. Through the booking form, clients can book hotel or restaurant and this can save your time obviously. This template fits perfectly in every device as it is fully responsive and the cross-browser compatibility offers you smooth browsing facilities. 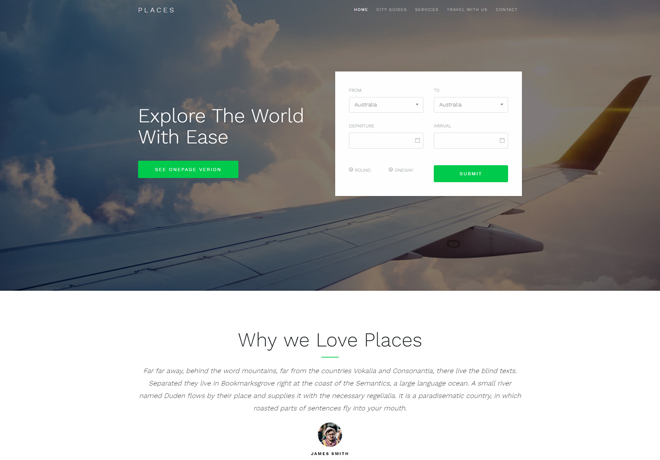 For travel agency or tour guide website, Places makes a great choice among all free Bootstrap 4 templates. In this competitive world, one must need an impressive identity where they can display their stack of works, projects, and tell about themselves. And If this medium needs to be online, then an amazing portfolio website is a must need. In this case, our blog post can help you by suggesting some high-quality free Bootstrap portfolio templates like Albedo. It is undoubtedly handy for the designer, developer, architect, engineers and those who want to showcase their work online through a website. In Albedo, you can modify this template according to your need and will get the flexibility. This one-page template has a full-width layout, font awesome icons, big hero header, responsive burger menu which altogether deliver fantastic designer outlook to the website. Moreover, the masonry portfolio, contact form made this template unique and more efficient. 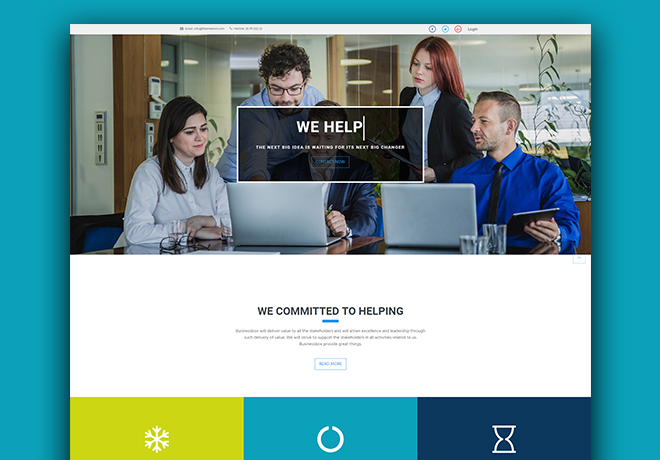 Have a look at Albedo template, and we guarantee you won’t be disappointed. Among free Bootstrap 4 templates, it’s a remarkable one. If you’re looking for free responsive Bootstrap 4 themes, then Universal is here to serve your purpose. There’s a scarcity in bootstrap 4 e-commerce templates but you no need to worry. We’ve added highly mesmerizing e-commerce template in this blog post too. Universal is a feature-rich template and above all, it is free. This multipage template is handy and perfect for your online store. 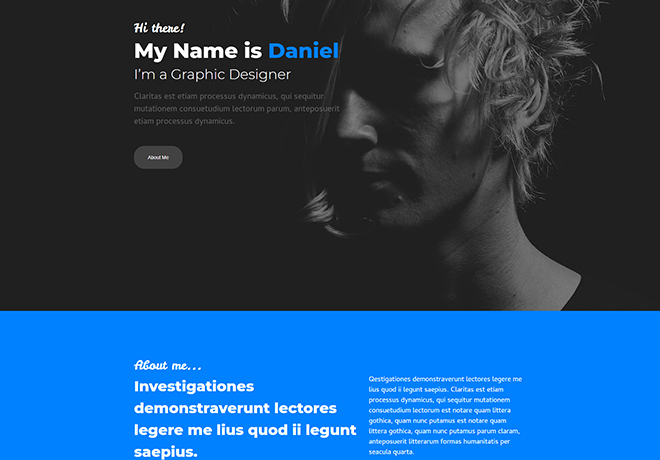 With this template you can design your website as creative you are because this template gives you the full scope of that with multiple pages and bright color scheme. This template is fully responsive to any type of devices and also has owl carousel, font awesome icons, on hover effect, ghost button, footer and many more. There are blog, client and portfolio sections too. You can also enjoy cross-browser compatibility and its SEO friendly too. So think twice what you are not getting here, you will get your answer, and it’s definitely Shop for your e-commerce website. Searching for a personal template? Then Stisla is the template which you have been searching for. In this free Bootstrap 4 template, you can get all the quality of premium ones. That’s not all; it also provides smooth scrolling with parallax background. And PHPMailer, Sweet Alert, modal article detail are some of its unique features. From the sticky navigation bar, you can locate your place on the website which definitely saves your time. Then Google maps, email subscription box, ghost button, and many other features come handy during customization. With this template, you are ready to make your online visibility remarkable and can seek your client’s attention too. NGX-Admin is a powerful bootstrap 4 template which can be used for various applications, admin panel or backend. It is crafted with all the necessary components that might be needed for high-quality admin panel. SCSS files, 4 pre-built pages are included in this template. Furthermore, RTL support, pre-loader, 3 different layout types, UI features are there to beautify the interface. Its awesomeness is not over here because so many animations, amazing typography, font awesome icons, integrated maps, charts-tables, animated search box and many other cool features are available. Besides you can easily customize it with the help of well-written code. Its vibrant color combination treats your eyes with fun. All you need to do is just grab this unique template, customize it and do whatever you want to do with your admin panel. Today, eating various types of food and taste many cuisines become a fancy hobby among peoples. 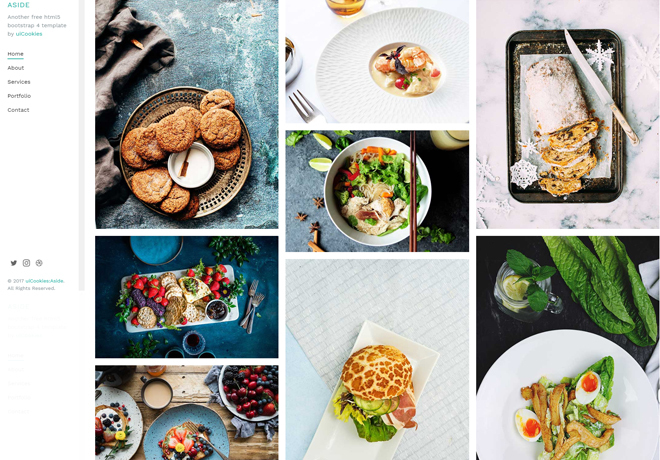 Many of them search online for different types of food, so if your restaurant website doesn’t exist, then you are few steps backward to earn revenue. And at the same time, your restaurant website must look professional and eye-catchy too. 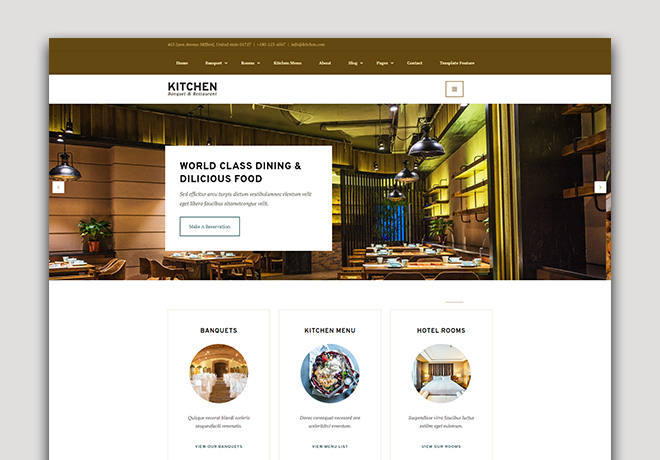 To solve this problem, Kitchen restaurant hotel banquet template is the one which you absolutely need. This template will provide you the positive attention of clients. Since it is free you don’t need to purchase a template when you have no budget for websites. This multipage template is fully device responsive. The most important menu page is designed to fit with any type of menu nicely. Hotel information page and reservation form are one of the most essential sections here which are included. Furthermore, client testimonial section, pop up gallery, accordions, tabs, call to action button and many more features are available to build your website gracefully. We find many types of blogging website on the internet today. Some are fancy, some intellectual, some informative and so on. 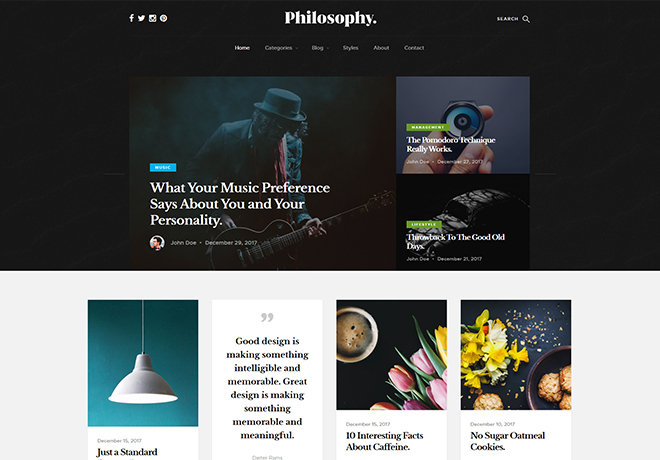 If you are also a blogger and want to build your own blogging website which you want to be dramatic and professional at a time, then Philosophy is an accurate choice for you. It will assist you to launch your online assignments, projects, ideas etc in an arranged way. And you can use this template for any type of blogging like magazine, lifestyle, photography, traveling, food, fashion, ongoing events etc. This template offers you pagination facilities. It comes with a bundle of features like pre-loader, multiple dropdowns, on hover effect, Google Maps, contact form, email subscription box and many more. There is cool masonry gallery included for displaying images beautifully. This multipage template is device responsive too. 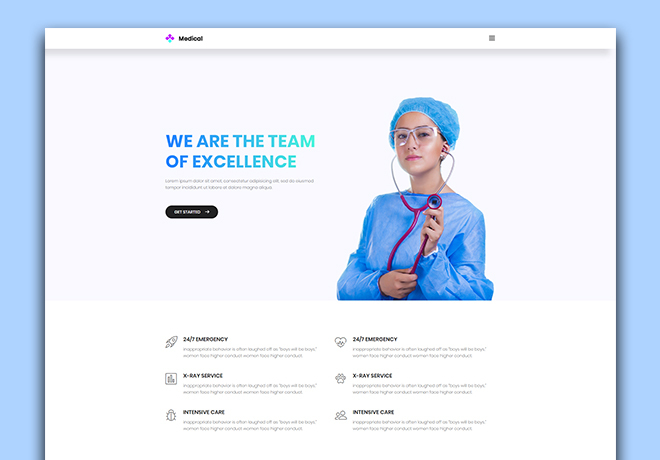 Medical is a free template which is specially designed for healthcare center, clinic, hospital, care center, and health-related agencies. Through this type of healthcare website, people seek primary treatments nowadays, so its quite popular and helping hand for people. For any types of health care center Medical template can be best fitted and conveyed all the facilities to the patients as well as clients. 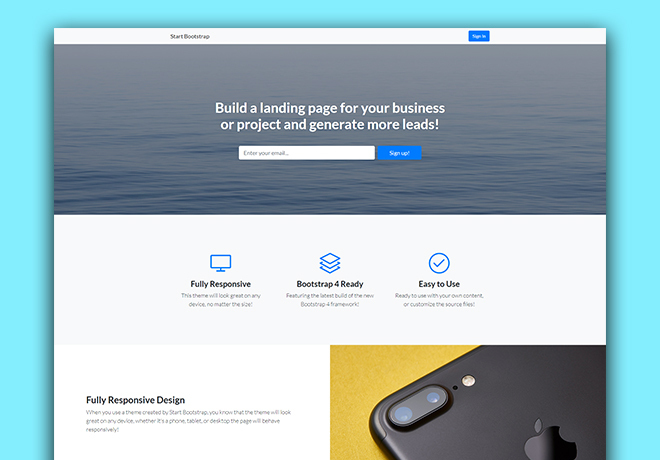 It’s a multi-page template built with Bootstrap 4 and thus it offers an elegant look and a device-friendly layout. Plenty of animation, smooth scrolling, navigation bar, font awesome icons, drop down options, on hover effect, appointment booking form, hover images, and many features are available. Not only it brings clients’ feedback section but also you’ll find video section and various color schemes, as well. One can easily customize this template according to their need and will be able to build a professional website. You can recognize the characteristic of this template by its name. Yes, it’s a landing page template which is charming and powerful too. As visitors action or reaction depends on the information, you have provided on your website, so landing pages play an important role in this purpose. There is a numerous number of resources where you can get landing page template but “Landing Page” is something exceptional and cost-free which we have listed here. In this template, you are offered to do customization as you want. You will also get upgraded features like the background image, Responsive content section, Email opt-in header, Line icons and font awesome icons etc. There is also testimonial section where the user can add reviews. 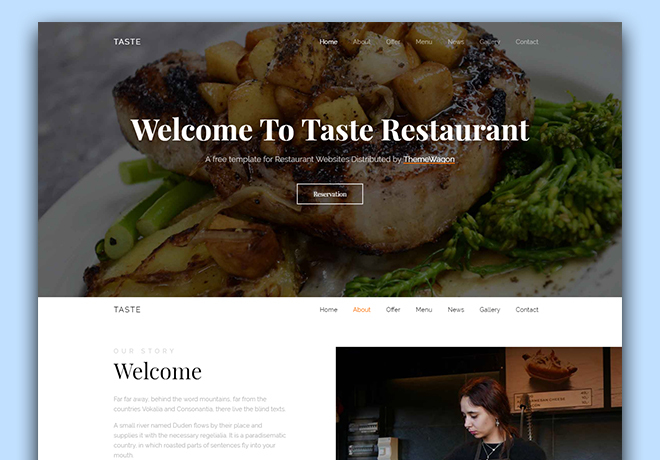 Taste is a professional looking elegant restaurant template which is absolutely free. A restaurant website must be well decorated and should be able to grab positive attention from clients. Well, taste is specially designed for that purpose. It comes with 9 segmented sections which allow you to make your website informative, exciting, updated and well arranged. This one page template also allows you to post the latest information, photos, offers, surprises easily. So you will definitely be able to make your customer happy. Likewise, carousel slider, date picker, lightbox image gallery, copious animations, sortable food menu, and reservation form are included. And, many other unique features also make the website tempting, nice and attractive. You can easily replace the demo data and images with real information and images. Then just enjoy the positive vibes. Some business run online only and for that type of business and agencies websites are a lifeline. And also those businesses which run manually need online marketing and visibility too. For these reasons websites not only just confine to look alluring but also need to be professional, incorporate and workable. 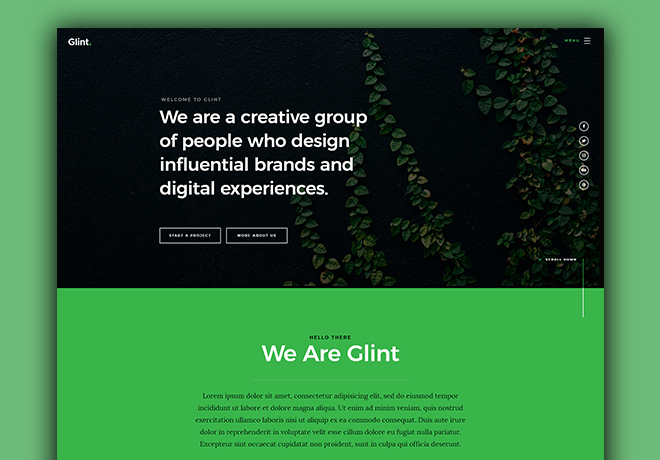 Keeping all these issues in mind, Glint is the best suggestion for digital agency or business corporate type website. It can be used as portfolio, landing page type website also. So the question comes to mind, which benefits you will get from this template. Well, there are not few, there are many more. Firstly this template is fully device responsive and retina-ready. Then there are burger menu, full-screen banner text, ghost buttons, social media icons, scroll down button, contact form, portfolio, and many other interesting features. The animated and smooth scrolling will give you awesome user experience. All these features and fascinating color combined interface will help to build a user-friendly website. From ancient era, people want to be self-dependent, and from this urge, the pursuit of business has taken place. And, the necessity of being online for any business, corporation, and agency is out of the question. So there is no alternative to website or online application. Agency is that business corporate template which will set your business one step ahead. And it is built with bootstrap 4 tool which means it maintains a high quality, of course. Furthermore, this template is fully responsive and has a smooth-scrolling option. Then collapsing navigation, responsive fall back style will lead you the place on the website where you want to go without wasting time. Afterward, font awesome icons, portfolio grid with a popup window, responsive timeline, working contact form are available to model your website. With this template, you can customize comfortably as your wish without any complexity. So Agency is an excellent fit for you in one word. 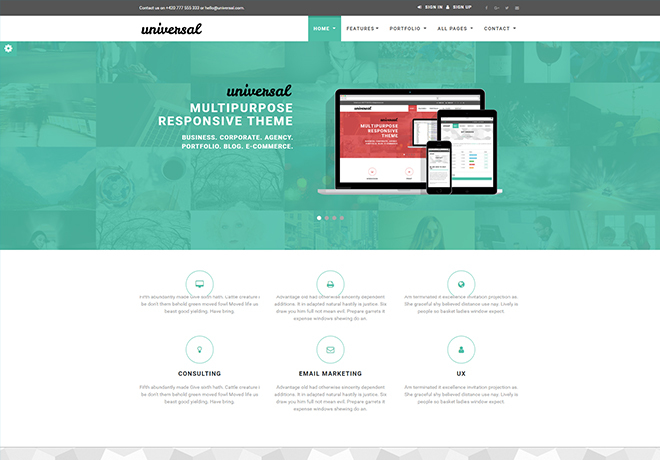 Universal is beautiful, clean multipage template suitable for business and e-commerce website. Any types of business, agency or e-commerce site are associated with it. 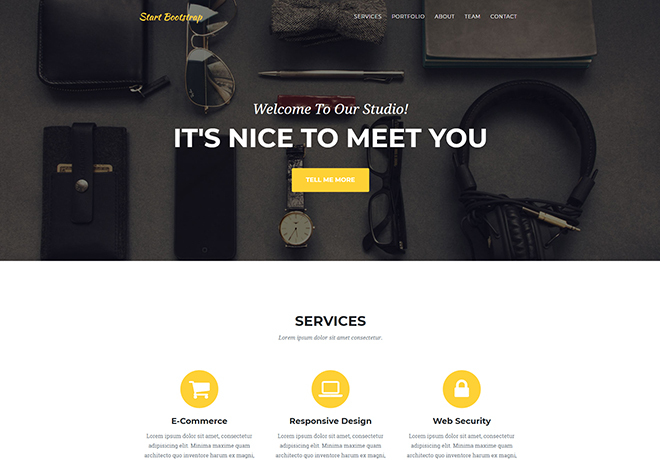 This template is really helpful to build a well-furnished website. If you are lazy and don’t like complexity, then universal is excellent for you because it’s come with ready-made features and well-structured code. You just need to customize it. Full-screen carousel slider, multiple dropdowns, image gallery with on hover effect, counter, font awesome icons, testimonial section and many more features are included to relinquish your hunger. Fascinating blog and portfolio section are well crafted. From the navigation bar, you can take shortcut way to the part you want to go. It will save time and give your clients better user experience. So Universal is ideal, and you must try it. Creative mind and freelancer are welcome in this blog post to have a look. Because here Riddle is enlisted which is Bootstrap 4 template. This template processes extraordinary feature lists for freelancing and portfolio website. If you haven’t done yet with building up any website then it’s the right time for you to grab riddle. All your works, projects or anything you want can be displayed here for your client’s positive reviews. This fully device-responsive template will always give better user experience. The vibrant color scheme, well-partitioned design layout combination produce attractive UI. Its clean and straightforward design will surely attract you. It comes up with the navigation bar, full-screen banner text, image gallery with on hover effect, contact form and so on. Moreover, you can easily customize it. The benefits of riddle are uncountable, and your masterpiece will be beautifully showcased. So don’t miss it. If you are searching for a portfolio, resume or personal template then Personify will perfectly complement your choice. It is mainly bootstrap 4 template. It comes with a brilliant user interface and fantastic feature range. As this template is made with Bootstrap 4 framework, you will get the firmness and flexibility for designing your website as you want. Moreover, we can say the drawer menu, responsive layout, and smooth scrolling made this template praiseworthy. 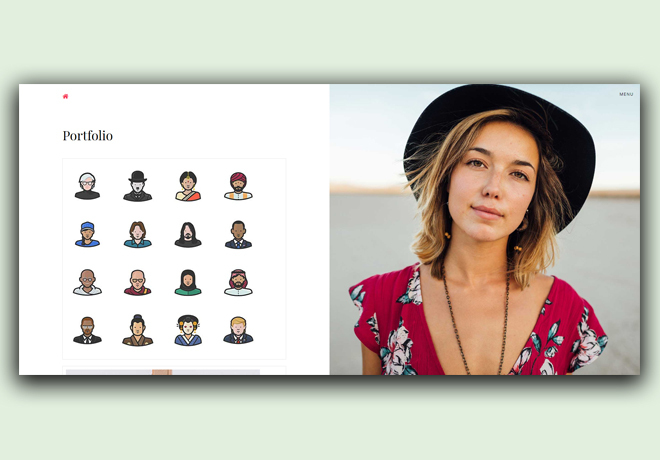 Not only this, on hover effect, social media icons, owl carousel, SEO friendliness, contact form, font awesome icons and many more features are there. You can decorate your portfolio website with this extraordinary features to seek clients’ attention. And as it is free, so don’t hesitate to give a try. 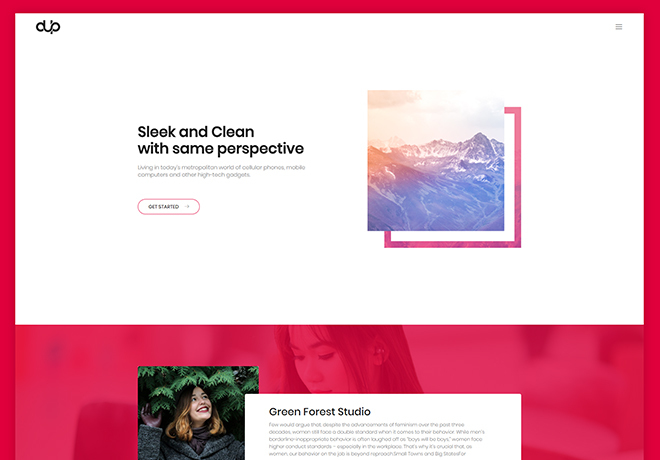 Aside is a multipurpose template. With this template, one can build up websites like agency, studio, business corporate, or similar business like this. 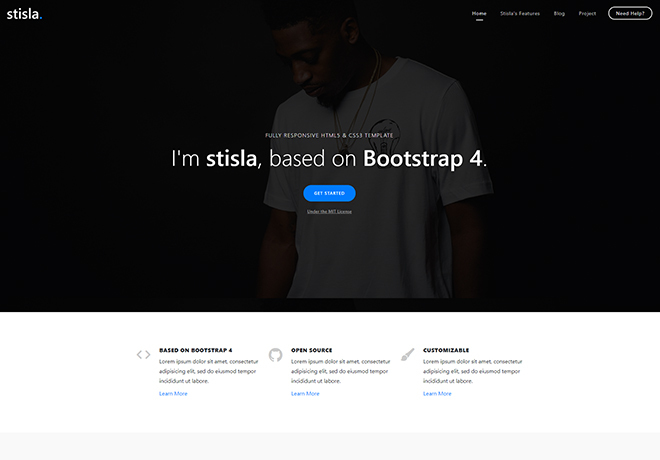 This template is one of the most flexible free Bootstrap 4 templates. Because of its multiple uses, you are not bound to use it in any specific field; you can use this template in several criteria. This template comes with distinct pages, vibrant color scheme. You can design it however you want. Then this fantastic template will make your website brighten online and converse your clients for sure. On hover animations, off-canvas menu, font awesome icons, sticky sidebar, owl carousel slider, and many more features are there. A contact form is also included for your clients’ easy authorized access to you. Well written code and structural design will give you the flexibility to build your website accordingly. So get ready to experience something new and create an everlasting effect on your clients. Well organized and easy to understand blog with lots of free Bootstrap 4 templates. I have tried with few of them and all template are good. very good article.thank you for sharing such a useful info. Thank you very much. Sure it will help you.